We are happy to announce that the The Aesthetics of Videogames is now available. 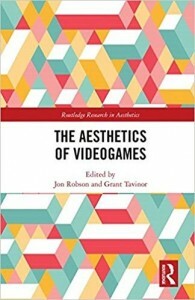 The book is a contribution to Routledge’s Research in Aesthetics series and is a collection of essays written by philosophers working in the tradition of analytic aesthetics, where videogames are now frequent topic. Among the issues discussed are transmedial games, the definition of videogames, game ontology, games and performance, videogames and creativity, virtual media and videogames, interactivity and fiction, the representation of women in games, videogames and the genre of romance fiction, and pornographic games. 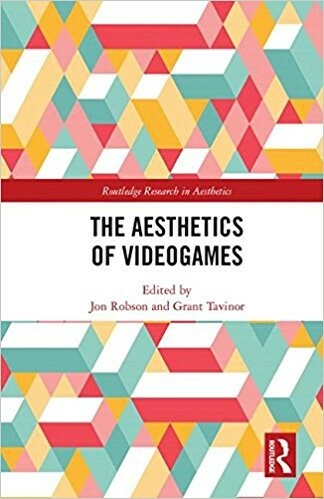 We hope that our volume will show the potential in analytic aesthetics for the discussion and analysis of videogames, and further establish videogames as a focus for philosophers working in that area. This entry was posted in Publications by Grant Tavinor. Bookmark the permalink.